Offers fantastic coverage, with a breathable finish. Perfect for use on new plaster, allowing surfaces to dry through. Low spatter formulation reduces mess during application. Approximate coverage 13m2 per litre. 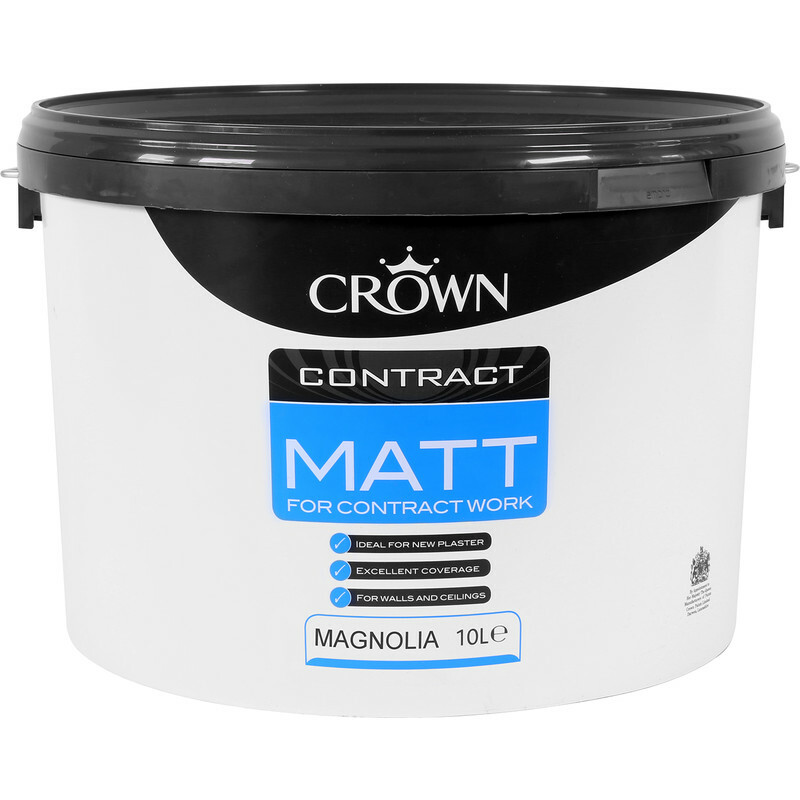 Crown Contract Matt Emulsion Paint 10L Magnolia is rated 3.5 out of 5 by 23. Rated 1 out of 5 by Dave DIYer from Disappointing I bought this paint about 2 weeks ago to paint a stipple papered ceiling. I have used this paint before on the same paper in another room with excellent results. However, this paint has either changed or I have a can from a bad batch. The paint is thick and as I paint the ceiling in squares, where I have over lapped, it pulls the first coat off and forms lumps. Despite the paint is thick, the coverage is poor, resulting in tram lines on the ceiling. Rated 1 out of 5 by Jeep from This awful paint Terrible paint. Don't understand others dating this as covering well, unless there inconsistency between batches. This is translucent going on and it does not want to leave the roller and lifts back off. I tried different grades of roller but this made no difference. Better off just buying standard emulsion covers better and much cheaper. Very disappointed always think you are getting quality buying named brand.......not the case "doesn't do what it says on the tin"